Voss (Vangen) Parish Church (Voss, Norway), digital images, Arkivverket DigitalArkivet, Scanned Church Records (http://www.arkivverket.no/URN:kb_read), Voss: 1816-1818, Klokkerbok A1, Marriages, Page 201, Ole Olsen and Ingeborg Botolfsdtr at Winje (accessed 12 December 2013). 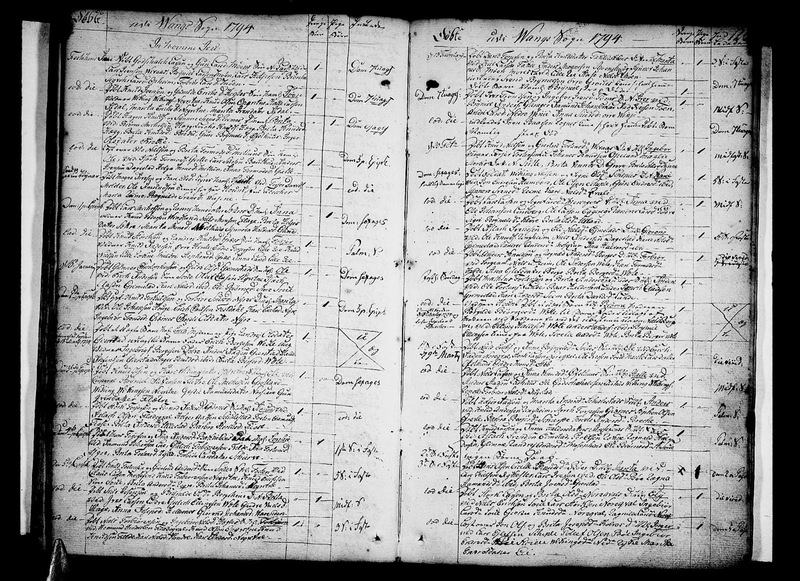 I captured this record and wrote about the process in Finding Norwegian Church Parish Records in DigitalArkivet Website (dated 12 December 2013). I also crafted some source citations then too - the process and result is in A Source Citation for Anna's Death Record in Voss, Norway (posted 13 December 2013). 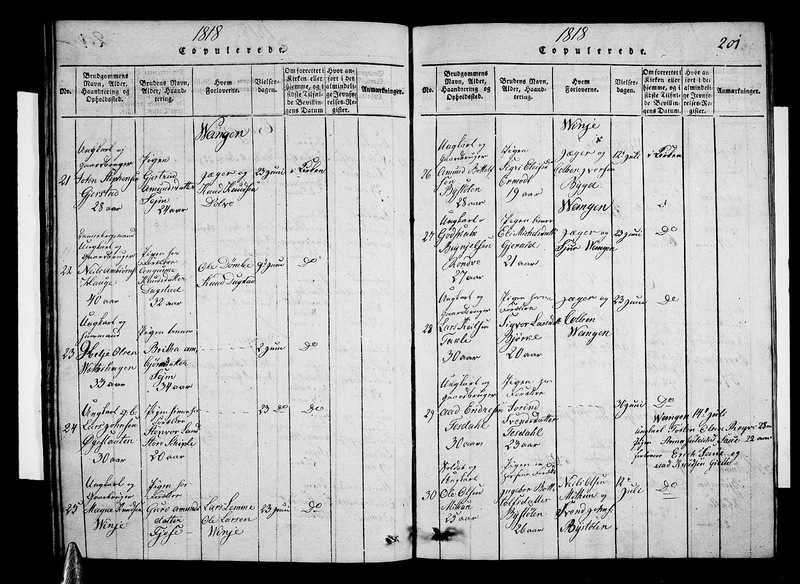 Ole Olsen (1794-1871) was the son of Ole Nielsen (1737-1817) and Brita Tormodsdtr (1751-1848), and was born 2 January 1794 on Midtun farm in Voss parish. 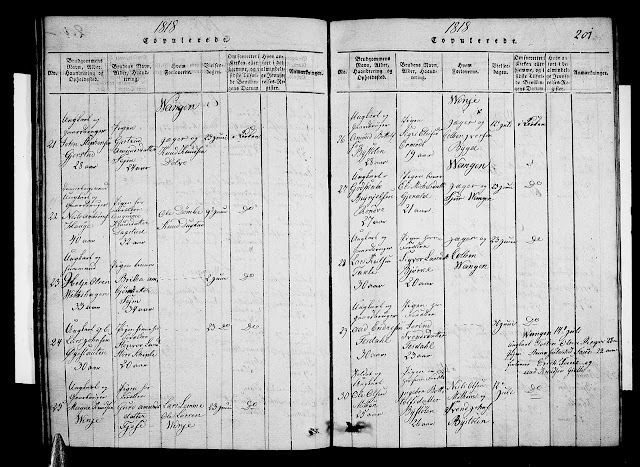 Ingeborg Botolfsdtr (1792-1872) was the daughter of Botolf Magnesen (1752-1819) and Asa Larsdtr (1767-1844) of Bystolen farm in Voss parish. They are my wife's third great-grandparents through their daughter Brithe Olsdtr (1818-1895) who married Sjur Torgersen (1804-1889) who came to Wisconsin in 1855 and settled in Deerfield, Wisconsin.